Too hot in the summer and too cold in the winter? With our lightweight roof systems, you can convert your conservatory into an all-year round usable living space. We stock a choice of two types of premium tiles, composite slate which offer the authentic natural look of traditional slate and metal shingle made from lightweight steel. 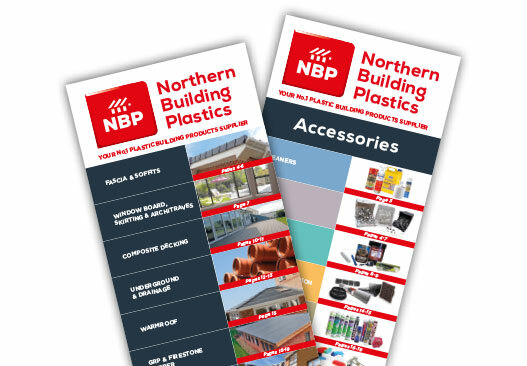 We also stock a full range of accessories and products to complement your existing roof style. The Fortex cladding range is manufactured as a long-term decorative cladding solution, designed to withstand many different weather conditions. Our white and colour products are eligible for an impressive 10-year guarantee backed by Freefoam’s environmentally friendly lead-free formulation. Fortex exterior wall cladding panels are designed to make storing, handling and fitting quick and easy. With the weatherboard cladding weighing just 3.15kg per 5-metre board, it is 4 times lighter than a fibre cement board. AmbiDECK offers a contemporary range of high quality and eco-friendly composite decking. Available in two unique styles and 12 different colours inspired by natural tones. Both composite decking boards have a dual surface texture and are designed to be low maintenance and long-lasting for the benefit of the customer. AmbiDECK Composite Decking is FSC® certified, made from a unique blend of reclaimed wood fibres and recycled HDPE. This formula has created a product combining the natural look and feel of timber with the strength and durability of synthetic plastics. This perfect combination helps eliminate the issues commonly associated with timber decking, such as splintering, breaking and the need for regular maintenance. Cedral is made of fibre cement, a material comprising cement, sand, lime, natural fibres, and water. Cedral is resistant to rot, immune to attack from pests and insects and stands up to the harshest weather conditions. Cedral comes in a range of 21 colours plus two woodstain effects and due to the paint application process in the factory, has a life expectancy of at least 50 years. With no routine maintenance required, simply wash with soap and rinse to keep your facade looking like new. Geo-panel is a cost-effective range of PVC interior decorative panelling offering a practical alternative to tiling and other conventional materials. It provides a smooth, decorative and waterproof wall covering for new and existing interior walls in homes and commercial properties. Geo-panel has a 100% waterproof PVC core and a hygienic wipe clean surface making maintenance easier than ever. The lack of grout reduces the need for extra maintenance work. Geo-panel also features excellent insulation and sound proofing properties for an all-in-one versatile product.